300 pages stand alone bad boy romance novel. Bonus book included. 480 pages total. Sean: As the lead singer of the hottest band in Seattle, I have a reputation of going through groupies like Tic Tac's. In fact, no woman has ever said no to me, except Hazel Hunt. I'll actually have to make an effort if I want her in my bed…on the couch, the countertop…well, you get the idea. It's unfamiliar territory for me, but plans are in motion. She doesn’t know it yet, but she will be mine. Hazel: If you take a photo at just the right moment, you can catch a snapshot of a person's true self, capture their heart. As a twenty-two-year-old wedding photographer, I live for those special moments, and that's why I'm saving myself for the most special moment in my life, my wedding. The one thing I never counted on, however, is Sean Morris, the hot lead singer of Flagship Inferno. Celebrated by many as the sexiest man alive, I'm about to go on tour with him and his band as his personal photographer…with benefits, no doubt, if Sean gets his way. 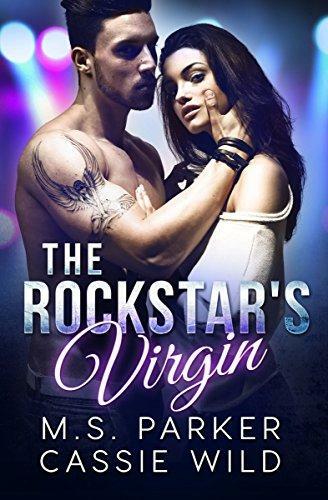 Don’t miss The Rockstar’s Virgin, Cassie Wild and M. S. Parker’s latest bad boy romance.